The Kentucky Coffee Tree (Gymnocladus dioicus) gets its common name from the discovery that an extremely convincing coffee-like beverage can be brewed from its roasted seeds. During the revolutionary and civil wars soldiers that were cut off from supply chains found comfort in a hot cup o’ Joe made from these legumes. This beverage was in no way a settler’s discovery, as Native Americans had been brewing this beverage for quite some time before then Europeans arrived in America, though they never drew the coffee comparison for obvious reasons. Kentucky Coffee Trees are native to the northeastern USA. Here in Southern Indiana, I have only found them wild in river bottoms. This is not surprising as Indiana has been vastly and devastatingly cleared for farmland, and most of Indiana’s wild forests that are not state parks, army bases, and private property are 500 meter wide tracts that run the length of the rivers and streams. Without ancient, giant herbivores, rivers and streams are the only remaining avenue for natural seed dispersion. Though these natural coffee tree reproduction avenues do exist and I have found some truly wild Kentucky Coffee Trees the large bulk of the Kentucky Coffee that I gather is from trees that were planted ornamentally. Because of its natural resistance to pests and its beautiful tropical appearance it has become a favorite landscape design element for city parks, college campuses, and other public places. 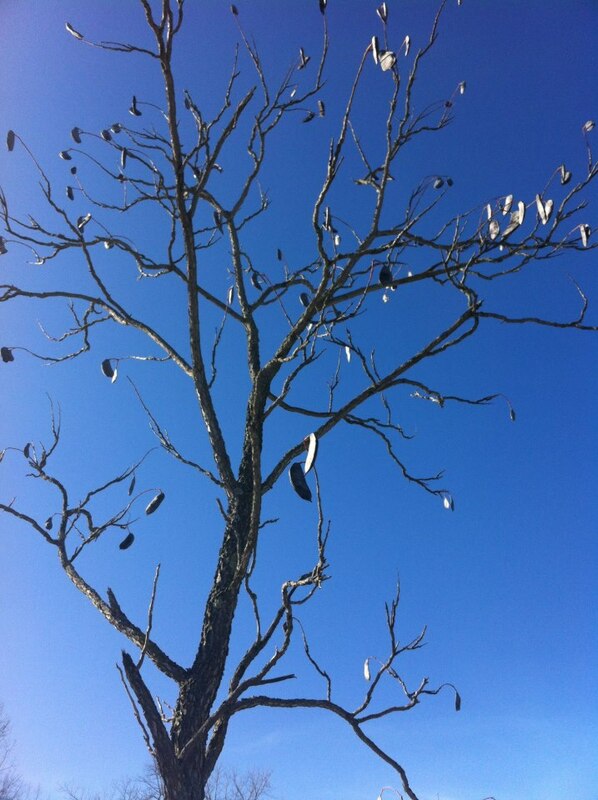 If you find them in fall or winter, there is pretty much no mistaking the pods. They are large and numerous per tree. I have found them with viable pods from September to April. Nowadays I only gather ones that have fallen to the ground. Trying to knock them off the tree is just too much hassle when the fallen legumes will remain viable on the ground for an entire season or longer. The pods themselves average about 4 inches long but can vary quite a bit. They are usually a dull brown. Even if the pods appear broken or even rotten, chances are the legumes inside are still good. Upon opening the pod, you may see green or brown legumes. I only have experience roasting the brown ones and have been told that the green ones are not safe to roast. Considering all of the misinformation I have gotten regarding Kentucky Coffee, it would not surprise me if this turns out to be completely false. In any case, all of the legumes will have turned brown by autumn. The seeds in the pod are encased in a green or yellow goo. I never can seem to get this nasty stuff off my hands without soap and water, so I usually take a sackful of pods home where I can separate the legumes over the sink. When I first discovered Kentucky Coffee Tree the one thing that confused me was hearing that is was poisonous but that people had, at one time, consumed it regularly. These statements just didn’t match but there was no way for me to be sure from reading conflicting statements from “experts” who had obviously never actually tried it. I am not a chemist. I am not a nutritionist. I am not a botanist… I am just a guy that eats and drinks a lot of stuff that grows on trees. That being clearly stated, I will share with you what I have read about the toxicity of Kentucky Coffee Tree legumes. Kentucky Coffee seeds ARE poisonous. Then again, so are potatoes, beer, cigarettes, apples, peaches, rhubarb, and… oh yeah… coffee. Every one of the afore mentioned contain some amount of a chemical that is harmful to the human body in high doses. Kentucky coffee contains an alkaloid called cytisine, a chemical that is very similar in molecular structure to nicotine. In fact, cytisine has been administered medically to aid smoking cessation. Like its nicotine cousin, this toxin can interfere with breathing and can kill in large doses. Apparently, the cytisine is broken down in the roasting process. I do not have the equipment, education training or even the desire to confirm or deny this. What I can tell you is that have drank many a cup of it and I haven’t died yet, nor have I felt any adverse effects. Even if you’re getting something from the store it’s always good measure to rule out food allergies before consuming large quantities of it. So, as with all new foods, commercial or otherwise that I try, I tried a very small portion of Kentucky Coffee the first time. It was terrible. I had followed a guide I found on line that said that in order to be “safe” Kentucky Coffee legumes had to be roasted at 300 degrees for 3 hours. After having done this. I am convinced that anything of relative size like coffee beans, Kentucky coffee legumes, peanuts, rocks, usb drives, legos, guitar picks, etc, would all taste the same when prepared this way… burned, ashy and disgusting. Disregarding everything I have read, recently I found that roasting at 300 degrees for 2 hours produces the best results I have tried to date. Does this properly break down the cytisine? Don’t know, don’t care. People drink coffee every day that is laden with a poison called caffeine and never bat an eye (unless of course that eye is twitching from too much of it). Before roasting them, Kentucky Coffee legumes must be thoroughly washed. I usually put them into a colander and run hot water over them for several minutes. Then I’ll rinse them with the sprayer, turning them over and over with my hand until they are sufficiently clean. You have to get absolutely all of the green goo off of them and you need to remove all of the funiculi (the little umbilical cords for lack of a better description). Failing to do this will result in some really gross flavors in your final product. Once they are rinsed, just pat them dry and put them in a roasting pan with a lid. The lid is NOT optional. Some of the Coffee Tree legumes will explode after a little less than an hour in the oven. If you don’t cover them they’ll make a smokey mess of your kitchen. I have tried 3 layers of thick aluminum foil and found that this is not enough to keep them contained. Roast them for 2 hours at 300 degrees. When finished, allow them to cool and grind them in a regular coffee grinder. 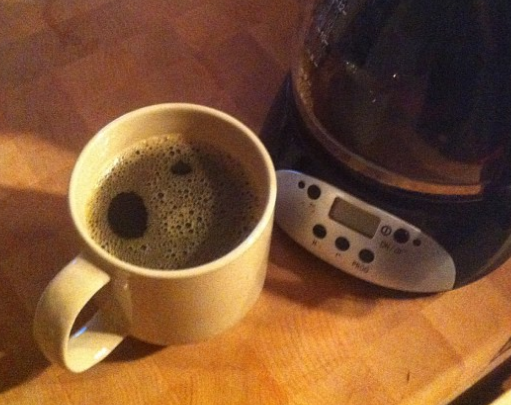 Now that you have your coffee grounds, you can just brew them in a regular drip coffee maker. I recommend small 1-2 cup batches. 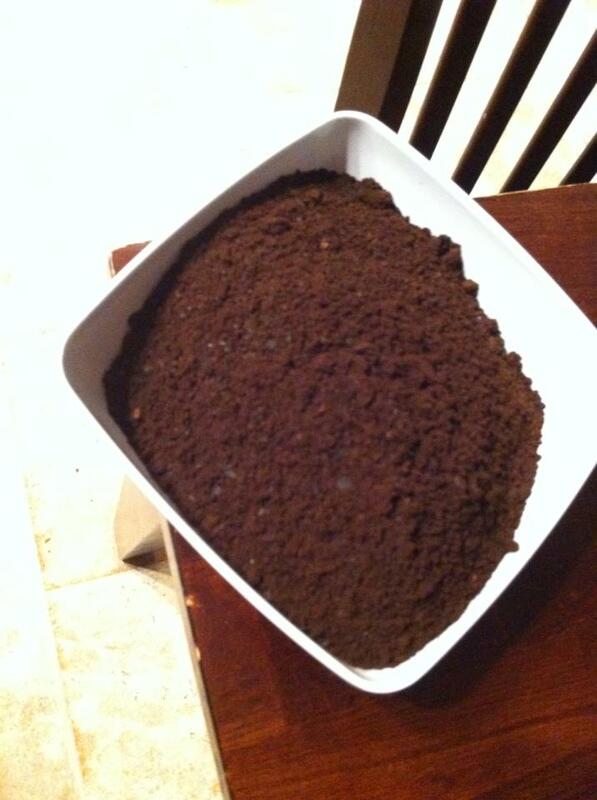 Kentucky coffee grounds can have a tendency to plug up the filter if you make too large of a pot. Kentucky Coffee Tree has many other uses as well. 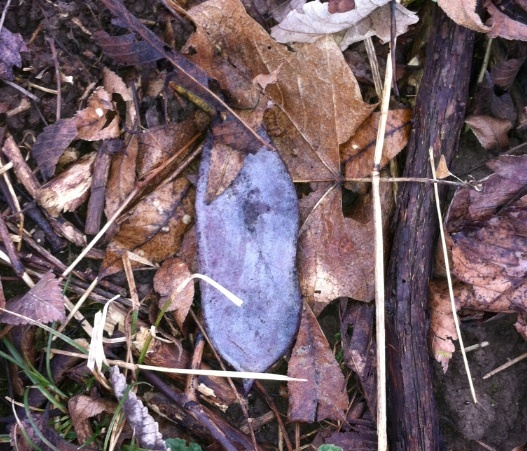 It has been used in woodworking, native medicine, landscaping and more. My favorite piece of Kentucky Coffee lore is that, apparently, some native American tribes used the seeds and pods to create a concoction that would temporarily paralyze fish and make them easy to grab in their stupefied state. One of these days, I am soooo going to try this. I also want to try Crocodile Dundee’s dynamite trick, but so far haven’t found any local farm pond owners willing to let me have a go at their bluegills this way. The Weed Eater on Instagram! Where I'm from acorns fall from late September through November. These cute little ones in South Florida profound last week. I'm not sure what the species is, but I'm smitten! Subscribe to My Mailing list and Get a Free Copy of My eBook “The WeedEater’s Guide to Edible Garden Weeds”! Acorn – Paleo before Paleo was cool… By about 10,000 years. I know, I know. I never shut up about Mulberries.